Parents and teachers providing a Christian education often focus on the Palm Sunday story for kids. Palm Sunday is an essential part of the crucifixion and resurrection of Christ, and activities that help children better understand the story is an essential part of early Christian education. As children learn the story of Jesus, Palm Sunday is an important component of the story that you can reinforce each year. It falls on the Sunday before Easter, and most churches offer special Palm Sunday services as part of Holy Week. The story of Palm Sunday is told in the Gospel of Matthew, book 21, chapters 1-17 (Matthew 21:1-17). The gospel tells the story of Jesus' triumphant ride into Jerusalem on the back of a donkey. As Jesus and his disciples walked towards Jerusalem, he sent two disciples ahead, telling them to find a donkey and a colt. The disciples brought the animals, laying their cloaks on the donkey so that Jesus could ride. As he rode towards Jerusalem, people laid cloaks and palm branches on the road in front of him, shouting, "Hosanna to the Son of David," and "Blessed is He who comes in the name of the Lord." When he entered Jerusalem, a huge crowd welcomed him, waving palm leaves and shouting "Hosanna," because they supported Jesus and his message. Arriving at the temple in Jerusalem, Jesus healed the blind and the sick; however, at the same time he aroused the ire and suspicion of the priests, who heard children shouting in the temple area calling out, "Hosanna to the Son of David!" The role of children in the story enhances kids' understanding of, and interest in, this particular Bible story. Jesus' actions including sending disciples ahead for a donkey and his response to the priests was to point out that what was happening was part of God's promise. In addition to hearing the story and learning its context, children can participate in different types of activities that focus on this historical day. You can make crafts or sing songs, the list is truly endless. 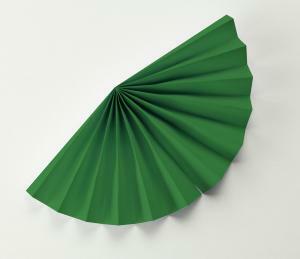 Palm fans are a fun craft that kids can make with come construction paper or green markers and paper, scissors and tape. Once they are done, children can wave and call out "Hosanna!" Color the paper green. If you are using green construction paper, skip this step. Fold the paper long ways into narrow 1/2-inch strips, like an accordion. Tape the folds on one end together. This will become the bottom that you hold. Spread the other end apart to create a fan. This will become the top. To make it look like palm leaves, use the scissors to cut small v's into the crease at every other fold. If you were to spread the fan out flat, this would look like continuous w's or sharp teeth. Using a little bit of creativity and some clothespins, you can make figurines for the story. For this craft, you will need lots of doll clothes pins (these have a round ball on the top and are split up the middle), markers, glue, and yarn. Your child could choose to make Jesus, the disciples or even the donkey. Draw a face on the clothespins using the markers. Use the yarn to glue on hair for Jesus or ears for the donkey. Play with your fun figurines. Kids are huge fans of puppets. 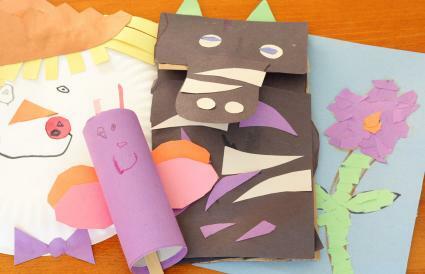 Create a donkey puppet that they can play with for hours. All you need is a paper bag (lunch size), crayons or markers, paper, and a glue stick. Using the paper, you'll want to draw two donkey ears. These will be similar to cat ears but rounder. Draw two eyes on the paper. Color the ears and eyes. Glue them to the flat part of the paper bag (the part that would be the bottom if it were open.) The eyes will go toward the top and the ears will be glued along the edge. Most of the ear will be sticking up off the paper bag. Using the crayons or markers, add a nose and a mouth. Vola! It's time to reenact the story. Singing can bring a whole community together. And finding songs to sing with kids for celebrating Palm Song is just a click away. The Concordia Publishing House offers an array of free Palm Sunday song downloads for kids including 'Celebrate Jesus! At Easter'. YouTube offers a karaoke style 'Hosanna' song complete with music and lyrics. Worship Workshop offers 'Hallelu, Hallelu, Hallelu, Hallelujah' for download to play for kids on Palm Sunday. 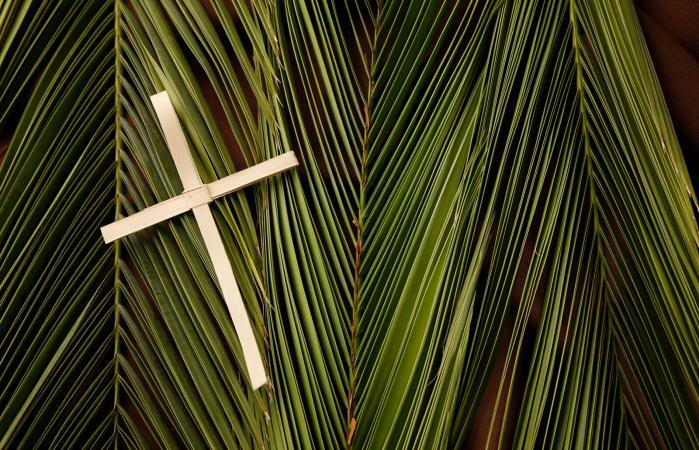 With a little planning, children can actively participate in Palm Sunday and have fun while learning why it is such an important part of Holy Week. Not only are there several crafts they can try, but they can sing songs and even create their own skit. The opportunities are endless with a little creativity and imagination.